Comment: Raccoon with possible baby in attic space. Comment: Requesting a quote for mosquito spray service. Veteran-owned residential home [1,680 sq ft.] in Packanack Lake (West), Wayne, NJ. Looking for one-time and recurring price options. Comment: Finding a lot of ants in the kitchen and need to get rid of them. I have dogs and need to make sure the treatment protocol is safe for them. Wayne Pest Control Services are rated 4.71 out of 5 based on 1,869 reviews of 28 pros. 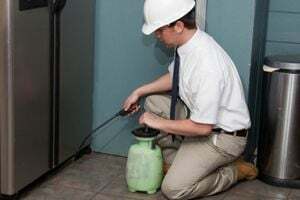 Not Looking for Pest Control Contractors in Wayne, NJ?